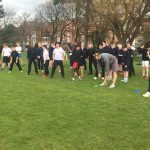 The boys and girls went to Kenilworth Park this week to take part in the trials for the Santry Sports competition. 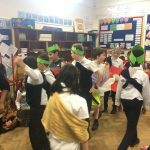 All of the pupils ran lots of races. 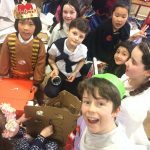 Well done to all the competitors and also thank you to Ms. Kilcommons, Ms. O’ Halloran and Mr. Coghlan for all of the organisation and encouragement. 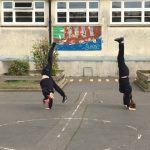 Ms. Ray was working with Room 15 in P.E and was teaching them about gymnastics. 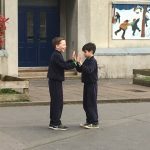 They started by learning about movement and symmetry. 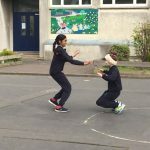 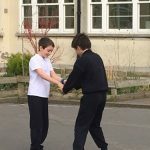 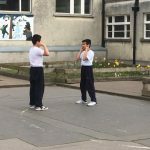 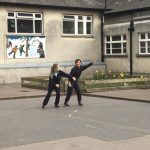 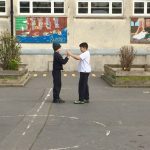 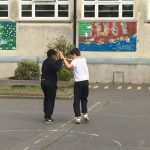 The pupils made symmetrical movements with their partner and displayed it for the rest of the class. 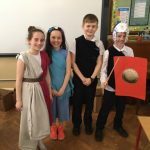 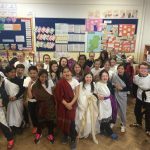 Room 3 and Room 10 had a fantastic Roman Day on Wednesday to celebrate all the learning we did on this topic. 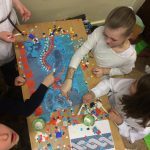 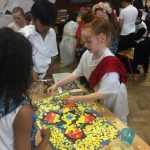 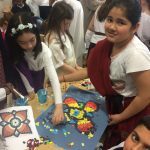 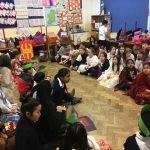 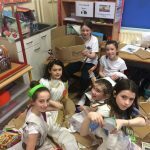 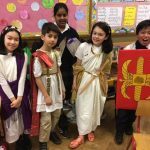 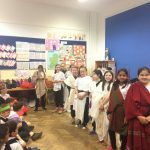 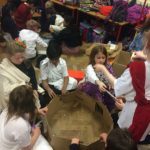 Everyone looked super in their Ancient Roman costumes and had a great time participating in mosaic making, colosseum building, brooch making and Roman games. 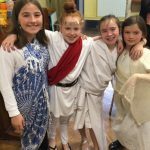 We finished the day with a delicious Roman feast. 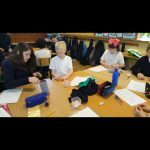 Room 15 were working with Ms. Ray and learning all about 3-D shapes. 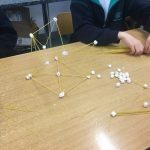 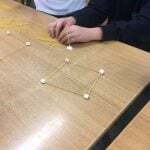 They made their own shapes with marshmallows and spaghetti. 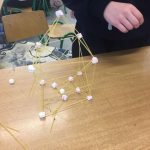 They had to discuss their structures with the class. 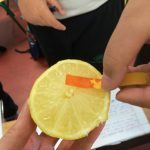 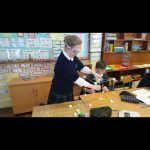 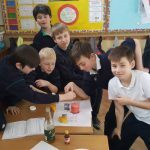 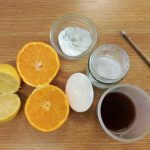 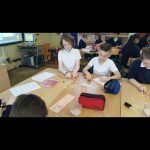 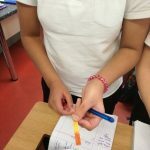 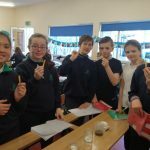 We were learning all about acids and bases in Science recently and how to use litmus paper to determine if a substance was an acid or a base. 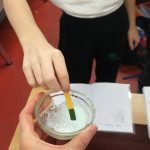 We then used the pH scale to match up with the colour of the litmus paper. 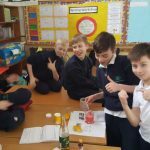 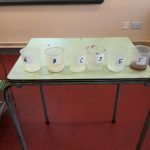 We also did a fun ‘mystery liquids’ experiment and using our new knowledge and scientific skills, we were able to identify them! 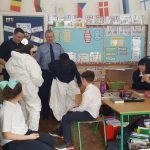 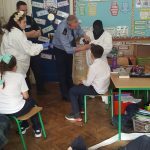 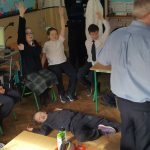 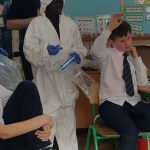 5th classes were learning about Internet safety and how a crime scene investigation works! 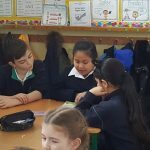 Well done to Rosie, Enea and Danga who participated during the investigation!! 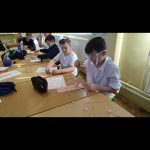 Room four have been very busy working as scientists and engineers. 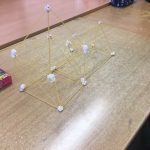 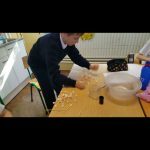 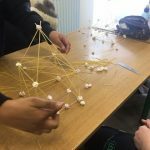 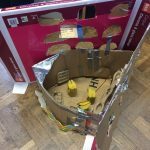 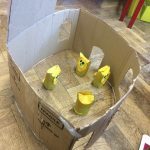 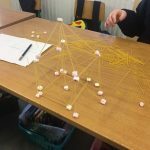 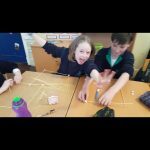 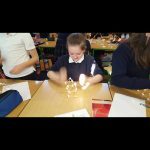 Have a look at some of our work making volcanos and earthquake proof structures!! 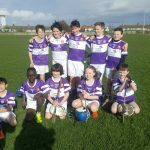 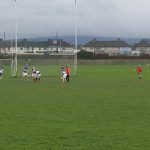 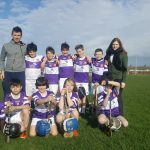 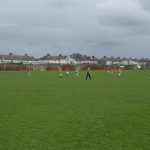 Well done to St Louis first ever hurling team for smashing a win in their first ever game! 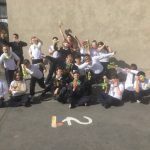 Keep up the good work guys!! 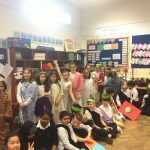 Room four teamed up with room 12 for world book day. 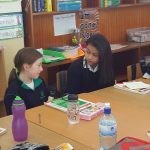 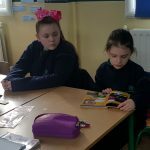 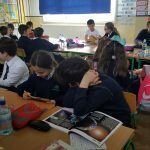 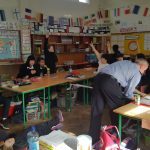 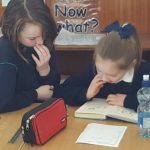 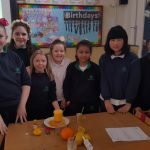 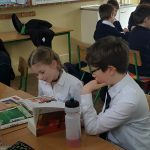 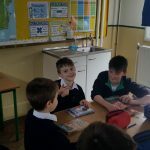 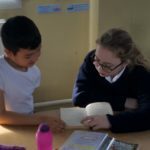 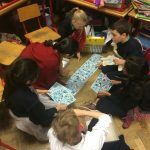 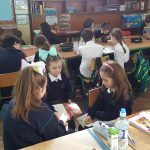 Ms O Briens second class learned about lots of new books and showed off their fantastic reading to their buddies in 5th class!